Marked 64287 and the KP mark in a flower. I opened up the watch case and removed the movement. The inside of the case is marked Knoll & Pregizer. Sterling. Made in West Germany. So this is definitely post WWII c. 1950s or later. 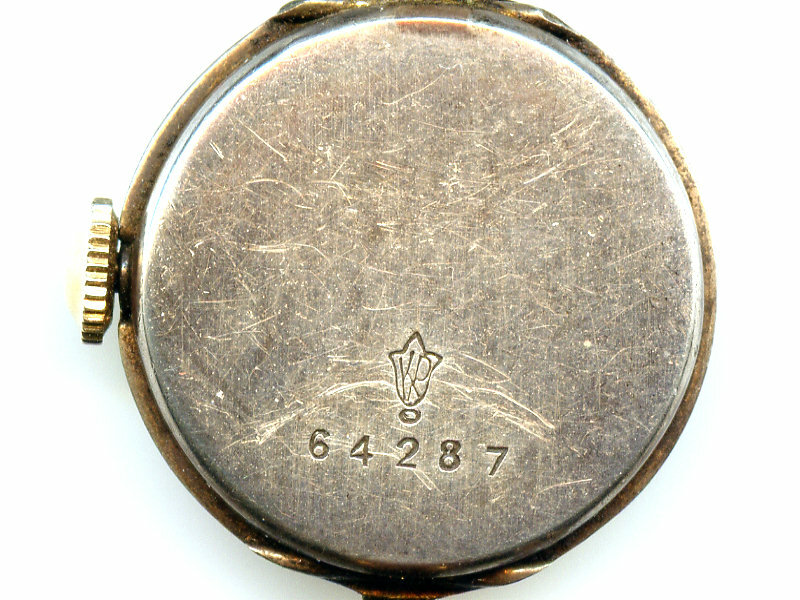 The movement itself is marked A.Nicolet & Co. (Armand Nicolet & Co.) SWISS. SEVENTEEN JEWELS. UNADJUSTED.